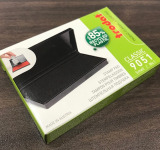 Stamp Pad Ink 2 oz. Bottle. 5 colors: black, red, blue, green, purple.